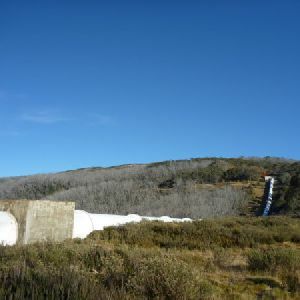 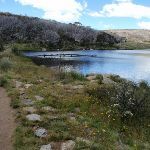 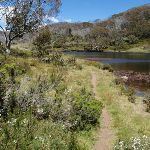 From the lower end of the car park on Kosciuszko Rd (about 2.4km east of Guthega Rd), near the ‘Rainbow Lake Walk’ sign, this walk follows the track heading into the Snow Gums. 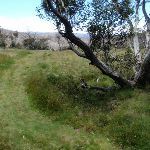 The track winds through the gums until joining onto an old management trail. 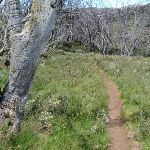 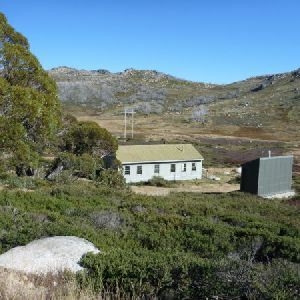 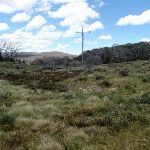 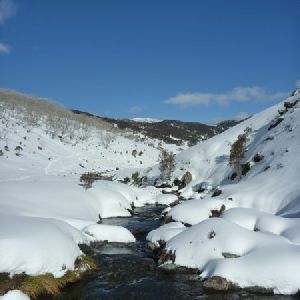 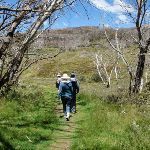 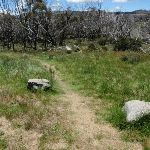 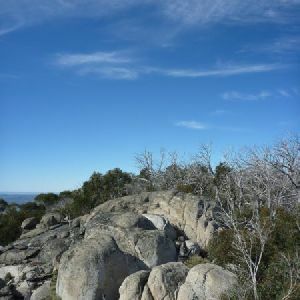 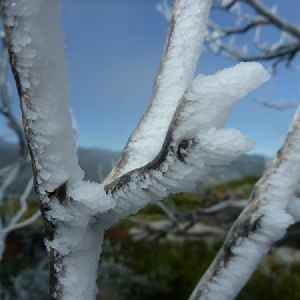 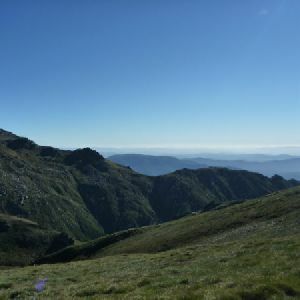 The walk follows the management trail down the hill and across the small creek, then continues under the power lines and starts to climb up through clumps of snow gums and open alpine grassy areas. 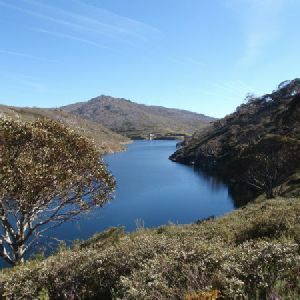 After a little while, the walk levels out and comes to a great view of Rainbow Lake. 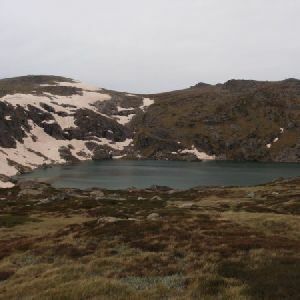 From here, the walk heads down the hill, following the clear management trail to the bottom end of the lake. 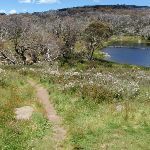 The walk passes a few clearings (nice for picnics) near the lake, then comes to an intersection just before the creek (which drains out of Rainbow Lake). 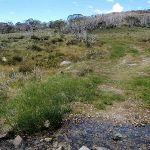 Continue straight: From the intersection, the walk crosses the creek and follows the dam wall. 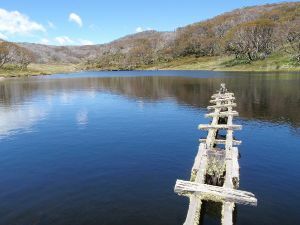 About half way along the dam wall, the walk arrives at an old timber platform heading out into the lake. 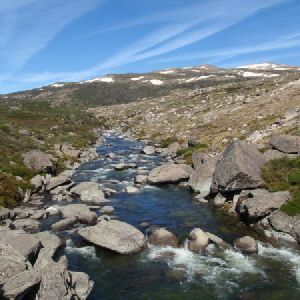 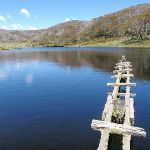 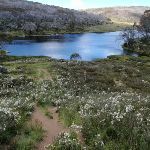 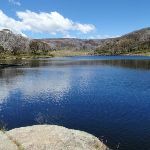 Rainbow Lake is a body of water in Kosciuszko National park, providing a lovely focal point for walkers and skiers. 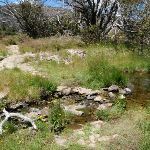 Diggers Creek was dammed to create a water supply for the then ‘Hotel Kosciusko’ which burnt down in 1951 (first opened in 1909). 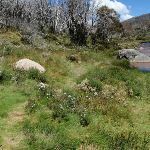 The resulting Rainbow Lake left a bit of heritage for people to enjoy. 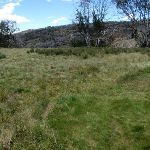 A faint track exists around the perimeter of the lake, providing a variety of views of the lake and access to some of the old fence line from the days when cattle were grazed in the area. 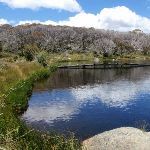 The lake is a great place for picnickers, photographers and walkers, a magical spot on sunny days. 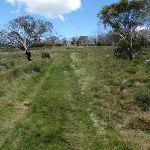 Around 1.2km of this walk has short steep hills, whilst the remaining 60m is flat with no steps. 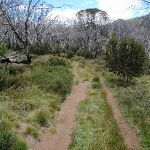 This whole walk, 1.3km follows a clear and well formed track or trail. 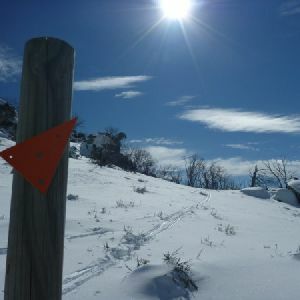 This whole walk, 1.3km has directional signs at most intersection. 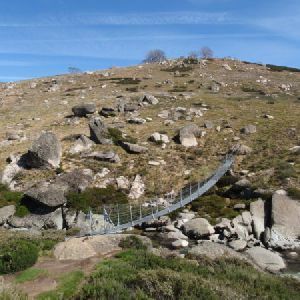 This whole walk, 1.3km is affected by storms that may impact your navigation and safety. 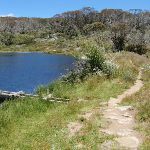 A list of walks that share part of the track with the Rainbow Lake Trail walk. 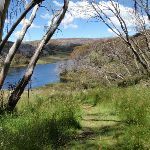 A list of walks that start near the Rainbow Lake Trail walk. 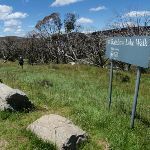 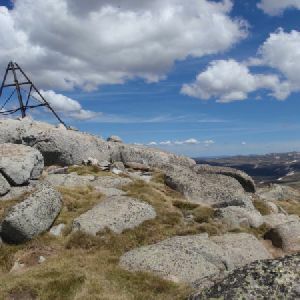 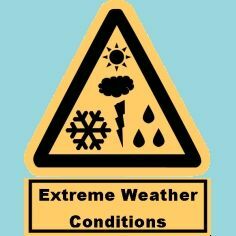 http://new.wildwalks.com/wildwalks_custom/includes/walk_fire_danger.php?walkid=nsw-kosciunp-rlw Each park may have its own fire ban, this rating is only valid for today and is based on information from the RFS Please check the RFS Website for more information.